Sinopsis : Who needs dialog when you're this cute? The beautiful (but unlucky) Momoko, the cool, collected Shibumi, and the refreshingly innocent Mayumi star in a "silent manga." No speeches, no dialog! 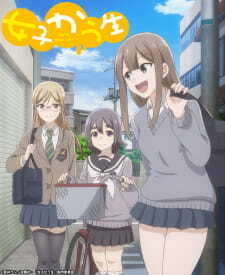 Just pictures, sound effects, and three high school girls living their daily lives.